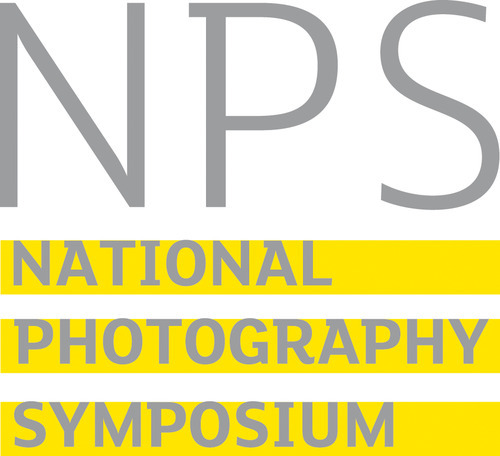 The National Photography Symposium 2014 began with a collection of talks from a variety of speakers. The panel included Richard West (co-editor of Source magazine), David Drake (director of Ffoto Gallery), John Levy (curator of Foto8) and Nathan Tromans (Birmingham City University). These were of particular interest to me due to the subject that the speakers focused on; routes into photography. As an MFA student currently studying photography at Falmouth University, I was keen to hear what the speakers suggested in terms of possibilities for new artists. Richard West began by suggesting a variety of galleries that exhibit photography and demonstrated which galleries were most likely to consider emerging artists’ works. Portfolio review opportunities were mentioned in conjunction with cost and possible rewards, which raised the question of finance and ethics. Photographers creating art face a continual challenge of financing their creative practice; working part-time jobs, applying for funding, taking out a loan; the list goes on. This is not a new situation for artist photographers, however the changes in the medium are new. The rise of digital photography and technical advances that have allowed mobile phones to become cameras has allowed everyone to be a photographer. This has changed the photography industry in part by transforming photography in to an accessible medium for all. Therefore the number of photographers now grappling for the same number of exhibited and published positions has grown exponentially. David Drake raised the notion of self-publishing and suggested that although this can be a successful route in to the business of photography it can be a very expensive unsuccessful route as well. John Levy questioned the motivations and aspirations of the emerging photographers and suggested that questioning and reflecting was a massively import aspect of success in the business. Believe in the work and be persistent were key terms. What all the speakers agreed upon was that there is no substitute for quality. Quality work is an elastic term which could be defined in several ways; technique, subject matter, artistic style, etc. The debate raised the notion of who is deciding what is quality work and what is not. The men on the panel (the entire panel) were referred to as ‘gate keepers’. This term got discussed at some length suggesting that the photography industry was in fact a business and that the people in power (curators and directors alike), much like politics, decide who and what will be held up as quality photography. Crowd funding, self-funding, internships, self-publishing and even working for free were suggested as possible ways to broach the world of art for photographers, all of which work for some. Confidence was a key idea that was mentioned; having confidence in your work, and yourself. Without belief in the work, the work will remain hidden. Without people seeing your portfolio, it won’t be exhibited or published. I found the discussion beneficial as it pertains to my current situation; my work has not been given much exposure in terms of my pushing it to be seen and if I take anything away from the debate it will be that in order for my work to have a chance of being discovered; it needs to be visible. Natalie Myra is a photographer and MFA student at Falmouth University. She attended NPS6 on one of the bursary places offered to photography students. This entry was posted in General posts on June 26, 2014 by AnnaTaylor. David Drake, Director of Ffotogallery, Cardiff, spoke at the Symposium in 2014 and here outlines his concerns for the starting photographer. 1) the exceptional graduate who comes to the attention of the local gallery/arts centre, receives a small grant from the Arts Council and develops a strong portfolio, pays to attend a number of UK and European portfolio reviews, leading to an offer from a European photography publisher to make and distribute a book of the work for a fee of £15-20K. The photographer raises the money and the book gets good reviews and an editorial feature, leading to exhibition opportunities. 2) the Internet-savvy graduate who crowd-funds a self-published book, and with the enthusiastic community of interest around the book, it receives positive feedback on various influential blogs and comes to the attention of an influential ‘taste-maker’ like Martin Parr, who buys 25 copies of the book and declares it the most exciting self-published photo book of the year, leading to several European photo book awards and the entire first edition selling out. Second hand copies of the book change hands for silly prices, and subsequently there is an offer from a leading German publisher to produce a second edition. 3) the graduate who has produced a strong and coherent body of work, and responding to an open call from a European photography festival gets her work selected for a thematic group show. The photographer is required to supply digital files and inkjet prints are made by the festival for exhibition purposes. Exposure at the festival leads to interest from a UK gallery and that organisation offers a first solo exhibition. However, Arts Council cuts have left the gallery with no money for artist fees, and they can only meet half of the production and presentation costs so the onus is on the photographer to find significant funds to produce the work for the exhibition, which appears to be an important opportunity for increased exposure. Whereas it is positive that there are many different routes to success in the photography world, it does concern me that the above three examples place almost all the responsibility for financing their early career development on the emergent photographer, who has already borne the financial cost of getting through higher education. I would like to see more equity between the individual photographer/artist and the commissioning gallery/publisher, with a fairer sharing of the financial cost and risk, and a commitment to work together over a period of time to achieve the best possible outcome, artistically and professionally, for both parties. Galleries and publishers should not act as privileged ‘gate-keepers’ who hold the keys to success; they should utilise their professional judgement and influence to help the most talented individual photographers to maximise their creative potential, and build sustainable careers. I believe that good work will generally find its audience, one way or another. However, I feel the photography world is currently structured in a way that inhibits opportunities for the many thousand emergent photographers and protects the interests of the already established ‘names’ – a somewhat exclusive group of mostly male photographers and photo book publishers operating on a New York-London-Paris-Berlin axis of power. There are signs of change in the way that social media and artist-led initiatives have opened new routes for producing, publishing, exhibiting and distributing work, and through increased artist mobility in the form of residencies, commissions, international networks and collaborative working. Finally, it pays to remember that immediate success is very rare, and photographers who want exposure and recognition need to strategically plan their career progression route, alongside building networks and supporters, producing excellent work and seizing good opportunities as they arise. This entry was posted in General posts on June 24, 2014 by Paul Herrmann. Here’s the list Paul Herrmann quoted at the NPS of photographers with interesting and innovative business models. Some of them are on the edge of what might be considered a “professional photographer”, but others have only made a few changes to how they do things – enough to bring in new business and stand out. In many cases they have explained their business models at Redeye (or other) events, or interviews, and the links below might not give the full story. As always, if you are interested in any of them, it’s worth seeking them out at public talks and events for a chat. The comments are Paul’s brief interpretation, not the photographers’ own. This entry was posted in General posts on June 16, 2014 by Paul Herrmann. What’s on offer for students and emerging artists to help establish themselves in photography, and who benefits from these multiplying possibilities? Which of the many competitions, reviews, courses, opportunities and online services are worth signing up for, and how can photographers navigate this ocean? Nathaniel Pitt received a GRAIN Curator’s Bursary and will explore the appeal and possibilities of curatorial practice. The second day concentrates on key issues of integrity for organisations and institutions. How can they preserve their public service or members’ remit whilst improving commercial income? What new kinds of ventures are working for organisations, and what are the new types of fundraising and finance being tried? How do the larger institutions and museums deal with conflicting demands for acquisitions, collections and archives? What are the “standards” in the new photographic landscape? What’s on the horizon for some of photography’s leading organisations? Welcome from Brian Gambles, Director of the Library of Birmingham. Some Cities – a photographic platform that enables everyone, regardless of their backgrounds or abilities, to share and submit their images to a growing interactive photographic archive of the City of Birmingham. Discussion: opening the nation’s photographic collections. Ways forward for managing the national collections of photography. What can we do to show more of the UK’s wonderful but seldom-seen photographic collections? How can the existing institutions communicate and co-ordinate better around issues such as acquisitions, exhibitions and conservation, and how can we share knowledge and skills with smaller and private archives and bring them into the conversation? How would it be best to develop skills in photographic history, curating and conservation? What is the future for photographic archives in a digital age? How do we raise investment in our collections? How should all these matters be championed at strategic and government policy level? Standards – who decides what standards are applied in photography? Where are they still relevant and needed, if at all? Is there a place for a defined standard of imagery, and how can standards of professional practice be applied? The final day of the Symposium explores key issues around ethics, authenticity and business for all photographers. The discussions, like the Symposium as a whole, take a lead from Stephen Mayes’ assertion that photographers need to redefine their product to create new value for their work. It explores new kinds of business models and collaborations that allow photographers to retain creative integrity while still making a living in a dramatically different economy. How can they deal with the pressures on copyright from new licensing models and digital distribution? Edmund Clark has grappled with issues of artistic integrity in the face of restricted access, censorship and political resistance to his work, which concerns state subjugation, confinement and the aftermath of terrorism. Licensing without tears – Creative Commons and the alternatives. Licensing is one of the key drivers of the digital economy; this session guides photographers and users through the often complex options. This entry was posted in General posts on June 1, 2014 by Paul Herrmann.